Here it is after being cooked on the grill. I love breads. Naan might top the list for me. This stuff is good. I’ve been known on multiple occasion to go to an Indian restaurant and only order naan. On vacation one year, I saw in Indian option in a mall food court. Of course, I had to order naan. I don’t think the poor man could handle the thought of us sitting there eating plain naan and sent out a bowl of chicken curry as well. This is when it’s cooked in a skillet. My naan isn’t going to be completely authentic (no tandoor oven in my house), but we enjoy it just the same! If you’ve never tried it, I hope you make this recipe and even stop in an Indian restaurant and give it a try the next time you are near one. Naan tastes fabulous with my Butter Chicken recipe, as a wrap for a sandwich (I have a recipe next week for an Indian Spicy Chicken Sandwich), or even plain. Use the leftovers to make naan pizza the next night. You can make this plain or add some garlic and make it even yummier. Dissolve yeast in warm water and let sit until frothy. Add milk, baking soda, egg (poke the yoke several times after you add it to the bowl), salt, sugar, and 1 cup of flour. Add enough of the reminder of the flour to make a soft dough. Knead until smooth and elastic. Roll each ball into a fairly thin circle. Preheat grill or skillet (stainless steel or cast iron) to medium high. Make sure it's good and hot. Before cooking, turn heat to medium low. To cook, brush one side of naan with butter. Put buttered side down onto grill or skillet. It should bubble up right away. Brush top side with butter. One side will be done in a minute or two. Watch carefully - you don't want to over cook. When the bottom is golden brown in spots, flip and cook the other side. When finished, remove and stack on a plate. Cover with a towel to keep warm until all the naan in finished. 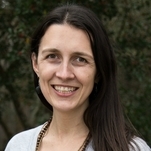 This entry was posted in Bread and Muffins, Uncategorized on March 14, 2014 by Deanna Michaels. Hello, Carrie! I made it through the membership drive kickoff dessert reception this afternoon!!! Yay! I have until the 3rd of April before a few more busy days with that. LOVE that you were making Indian as well – it’s sooo good. I can’t wait to see your recipes now. Yummy! I’m hoping to catch up on blogging stuff, craft projects, and house stuff this week – I’m looking forward to it. Hope that your weekend went well and that the little granddaughter and hubby are doing well. Love Naan, especially with garlic. Pinned for later. Thanks for sharing the recipe. Me too!!! Garlic naan is my favorite. Yummy! Stopping in from Mama Moments. We love Naan and used to eat it all the time. I’m wondering if there is a gluten free option or if it can be found with sprouted grains now. I have just started this new elimination diet and believe I will need to stick to it (food allergies) – I’ll need to do some research on Naan. I’m so bummed! I saw a gluten free naan recipe shared on Facebook from one of the blogs I follow but I forgot to pin it and of course now I can’t remember which it was. I did a quick google search and there are recipes out there for gluten free naan, unfortunately I didn’t know which ones are actually good. Yesterday we started wheat free until Easter to see if it helps my 10 month old’s eczema. If you try a gluten free naan recipe, let me know how it goes! This sound so easy to make! I always get store bought, but I am going to try this! Stopping by from Recipe Sharing Monday. Would love if you would come link up on my Tasty Tuesday party tomorrow! It is really easy and so tasty! I like it a lot better than the store bought I’ve tried. You’ll have to let me know what your family thinks of it. Thanks for sharing about your party – I’m going to try and remember to come over. Super yum! I will be trying this, thanks. It is fabulous! I hope you really enjoy it. Let me know how it turns out! 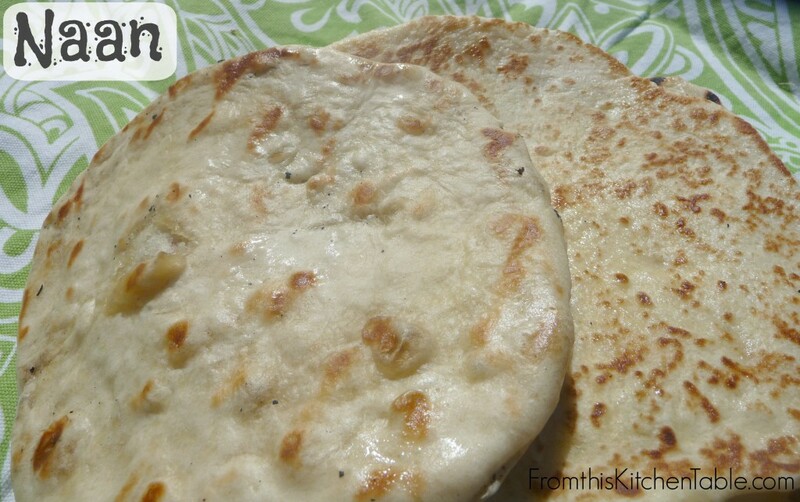 Your post caught my eye because I just recently discovered Naan bread, and LOVE it! My kids eat it with meals like a roll and I love it as a personal-size pizza crust. I looked at recipes, but most of them were pretty complicated. This one looks much simpler. Isn’t naan fabulous! We love it as well. They do make the perfect sized pizza. This recipe really isn’t hard at all. The most time consuming part it the rolling and cooking since they cook so quickly you have to stand right there but even that isn’t bad. Thanks for pinning. You’ll have to let me know how you guys like it! This recipe is so good! We all love it and I hope you do as well. Thanks for stopping by and for pinning! Hi Deanna! I’m stopping in from Let’s Get Real today. I am so excited to see your recipe for Naan flatbread. It is a new discovery for me, but my family loves to use it on pizza night for our crusts. We each get our own flatbread and then I toss out all the ingredients and the kids make their own pizzas. No complaints when they make their own and I know all the ingredients are good for them because I picked them out. I like a whole wheat Naan. Do you think I would have to modify this recipe much? I’ll have to experiment soon. 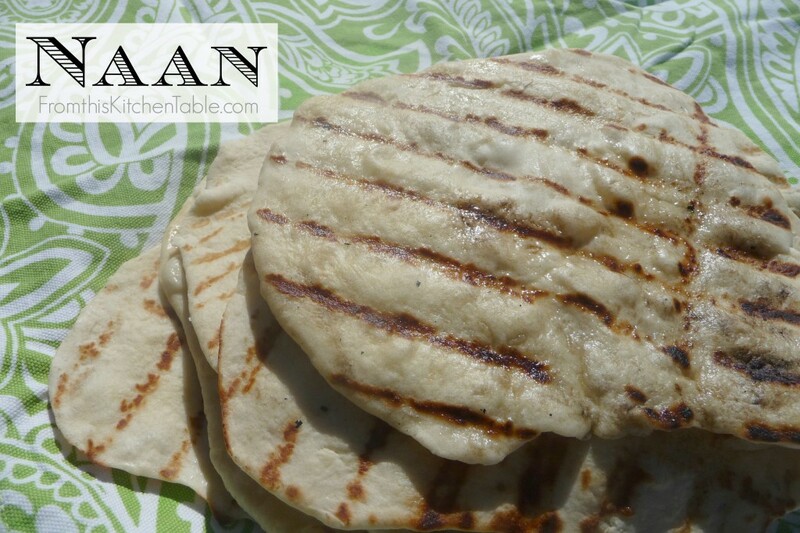 Naan is fabulous and so versatile! They make tasty wraps too. I haven’t tried it whole wheat yet, but I imagine you could do at least partially whole wheat easily. Might need a little more water. You’ll have to let me know what happens if you try it. Thanks for linking up with the Let’s Get Real party. This looks delicious – I am pinning it to the group Pinterest board for our party. Thanks for hosting and for pinning! It really is a tasty recipe. I love eating Naan, especially with hummus! Good stuff. I have been tempted to try and make it but was always afraid I would mess it up somehow. I can cook traditional Irish breads all day long, but step outside my box and fear sets in. This looks easy enough and pretty yummy! Naan and hummus is a perfect combination! This recipe is super easy – you can do it. I’m sure it’s not authentic but it’s still good! I love bread but definitely need to cut back on it! Thanks for sharing and linking up with us again at the #WWDParty. He he. I hear you. Bread is amazing stuff. It’s a little painful to be looking at all of these that are posting now that we are trying wheat free for a month. I just tried garlic naan last week and it was delicious! I’m excited to find this recipe! Isn’t it amazing! I love garlic naan. Mmmmm. Hope that you enjoy this recipe – we really enjoy it! We all enjoy naan bread. We eat it with hummus and dip to making wraps with it. A grilled pizza the second night is a a great way to use any leftovers. Thanks for sharing it with us at the Let’s Get Real Friday Link Party. I look forward to your articles and recipes. I pinned this to our party board. Naan is soooo good! Love finding other people that enjoy it as well. It does make some amazing wraps. Mmmmm. So good. Now I really want to eat some fresh naan! Thanks for your sweet comment, Nicky, and for hosting! We love naan. I’ve tried several recipes but haven’t found one we love yet. I being giving this one a try soon. So do I! One of our must haves when we are at an Indian restaurant. We really enjoy this recipe. Hope you guys do too.